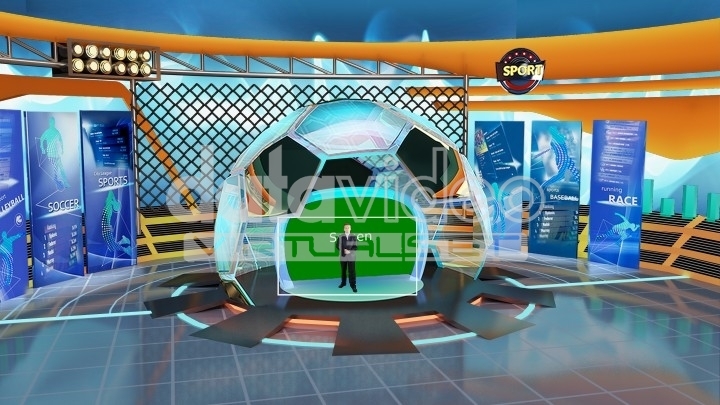 Football and Soccer are on the stage is great to use at sport event. 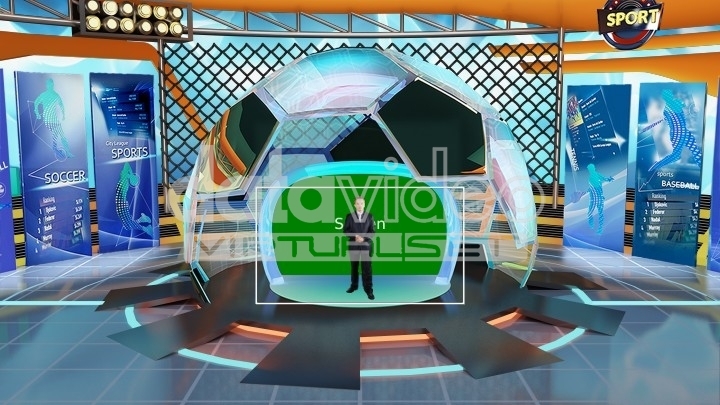 A Logo and spot light on the top is changeable to your need. 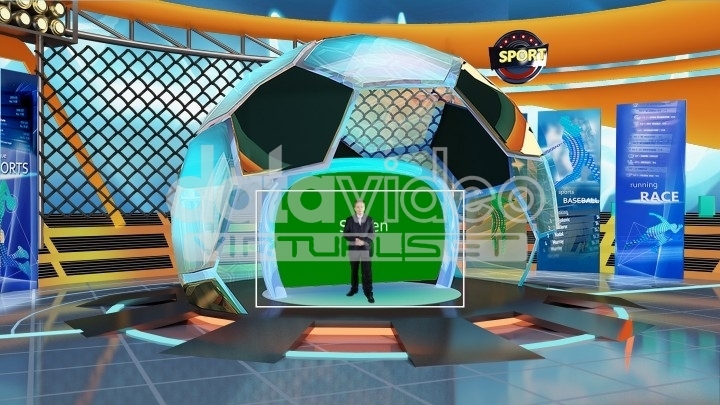 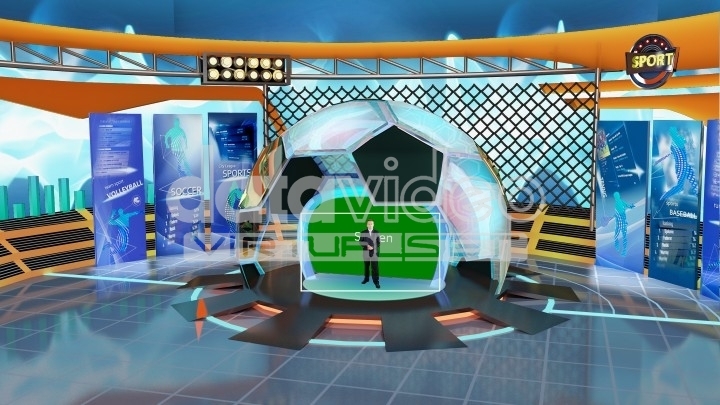 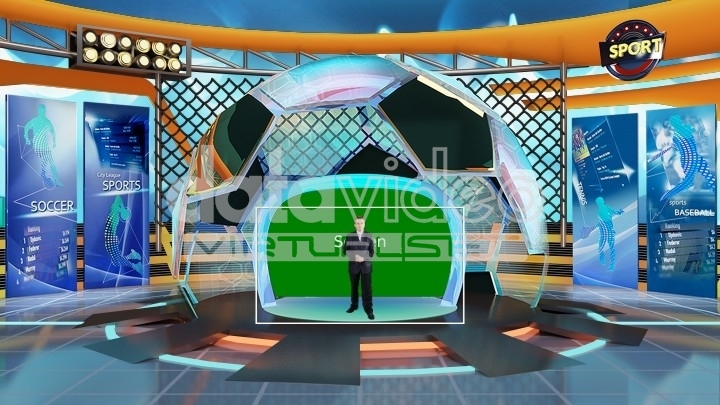 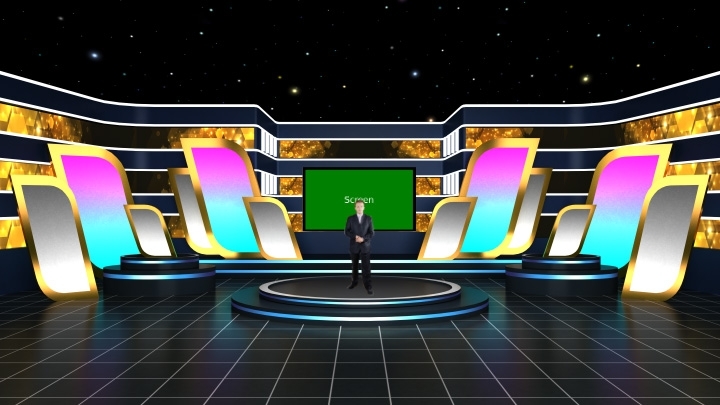 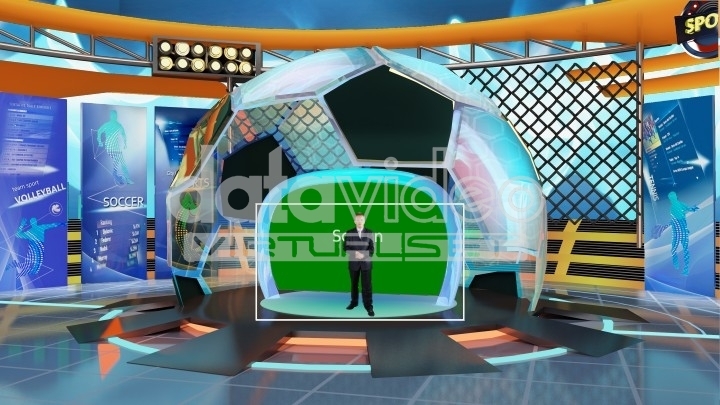 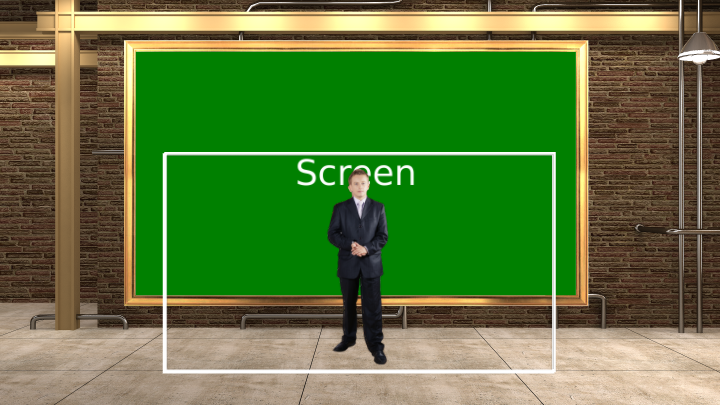 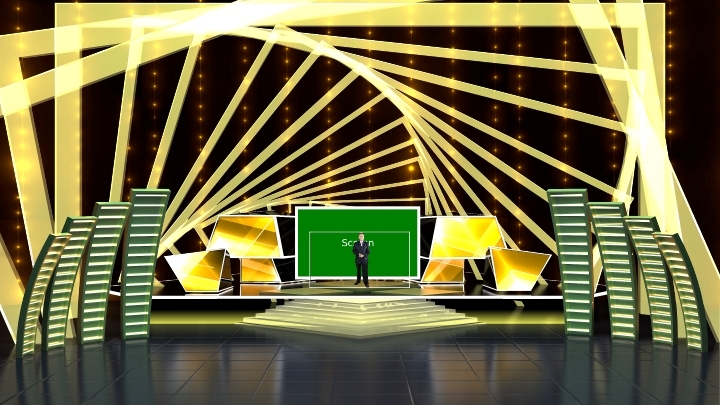 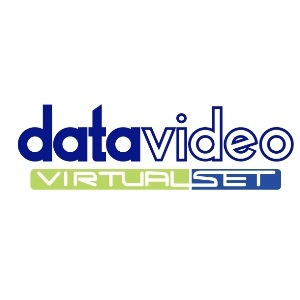 This virtual set can be used at sport broadcast.